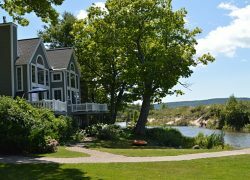 The Leelanau Peninsula – with its scenic woods, rolling farmland and coastal vistas – attracts millions of visitors each year. Some come to explore the natural wonders of the Sleeping Bear Dunes National Lakeshore – to climb to the top of massive dunes of sand and see the glimmering waters of Lake Michigan below. 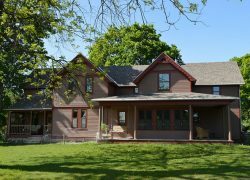 Others come to hike along wooded trails to secluded overlooks and then wind past historic homesteads where farmers who settled this corner of Michigan made a life for their families. 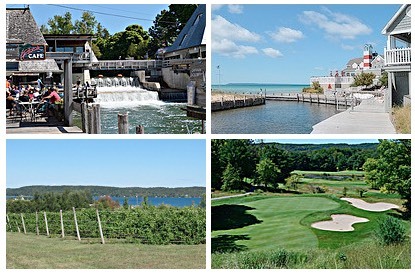 A tour along roads of Leelanau County is also a great way to spend the day. 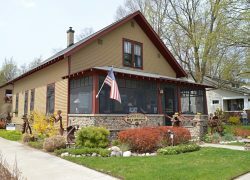 Follow M22 around the periphery of the peninsula and stop and shop in any of the charming small towns scattered throughout the county – Suttons Bay, Northport, Leland, Glen Arbor and more. Or grab a wine tour map and find your way to the tasting rooms the award-winning wineries of the Leelanau Peninsula Wine Trail. Looking for a round of golf? Try the Manitou Passage, an Arnold Palmer Signature Course which winds along the lower slopes of Sugar Loaf Mountain offering a challenging round of golf with stunning views of a serenely beautiful landscape.